Yes you may ask a question, but please ask here by posting questions to the blog. You may have misunderstood the assignment and perhaps the procedure. I don't see any comments posted to the PLN topics. Collaboration and written discussion by posting to the blog are an important part our projects and assignments. Instead of writing privately, you and Sadamu should have posted comments and questions to the blog. When I send my answer to the blog as I am now, everybody shares the information. That may save me from writing 3-4 more students privately when it's not necessary. Of course there will be times for private communication. However, this is not one of them. You can show me - in writing right here on the blog. Write out - in your own words - what a PLN is, why you want your network to do, what it should include - and why. You can post this as a comment here or to Sadamu's post. I have to say though, that I think everyone would benefit by more discussion and sharing ideas. I'd also like to post more ideas and materials on the topic. This article has more about PLNs, how to setting them up, using rss feeds and so on. I like the expression about PLN being "virtual lockers." You can set up a PLN page on any topic you want to learn more about and save information on ~ not just English. Are there any teachers in the group? Bookmark Edutopia for future reference. From the Webheads group (part of my "Personal Learning Network") Listening material online for ESL/EFL learners, in English but in different accents, and not just native speakers. 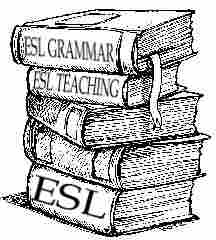 Each link comes from an experienced ESL teacher. I have not checked out every link on the list, although I am already familiar with some of the sites. "Project We Say Tomato," http://duber.com/wesaytomato/2005/tomatoes.html, offers samples of lots of various accents (both L1 and L2) reading the same text. CBC (Canadian) podcasts: http://www.cbc.ca/podcasting/pastpodcasts. html. They are available on a wide variety of topics--science (quirks and quarks/nature of things), business, medical, arts, etc., as well as news and current events. It's not unusual to hear interviews with people with a variety of accents. If you google PLN (Personal Learning Network), PLE (Personal Learning Environment) links will come up too. Confusing, isn't it? The difference confuses me too. We're not the only ones. This might help. Someone in my PLN asked what the difference between a PLN and a PLE is. This is how I see the relationship - the PLE as a subset or component of the larger Personal Learning Network. Just my initial thoughts, but can take it from here. Summary: Although instant and text/SMS messaging is beginning to supplant email for some groups' primary means of Internet communication, effective and appropriate email etiquette is still important. This resource will help you to become an effective writer and reader/manager of email." Building your PLN or Personal Learning Network is an important part of what we will be doing here. The blog post I'm sharing explains them very well. This is one of the clearest explanations I have come across. I am also hoping we will discuss what PLN's are and how to use them here. Among other things, I envision this blog as a shared PLN that we will all learn from. My own PLN includes other blogs and groups, social media, friends and colleagues I exchange email with. Currently, I am participating in an online workshop that includes developing PLN's. Non-internet version of a PLN might be clubs for common goals and interests, sharing information with friends from work or just sitting around with other students talking about classes and studies. Can you think of other examples? When we've all settled in, gotten acquainted (or reacquainted) and you've learned more about PLN's, I'd like to create an assignment similar to the one below. Self-paced learning does not mean you have to do it alone. PLN stands for Personal Learning Network. These days, English teachers use sites such as twitter and Facebook to create a PLN. We also visit each other's blogs. These sites act as an online staffroom that is open to the whole world. We interact with each other online and share ideas and links. English learners can form a PLN too. You don't want to learn English alone, do you? MyEC is a great space to create your PLN. You can chat, write on each other's walls, comment on blogs, and practise English in a variety of other ways. You'll have so much fun that you'll forget you are learning English. Your online PLN consists of the people who you interact with most online. You learn from them and they learn from you. You have a special connection online even though you may not have met all of these people face-to-face. Like in real life, your PLN will change from month to month and year to year. One important thing about creating a PLN is sharing it with others. New members of MyEC (my English class) look for hints about who to befriend. Who are the most active users? Who wants to use Skype? Who likes chatting about set topics in the chat room? This month we are going to describe our PLN. This will be good writing practice. It will also be helpful for new MyEC members who are looking for learning partners. Your PLN can include people from within MyEC as well as people outside of MyEC. Open a new blog post. Create a list of people who you learn from online (about 3-10 people). Find a link to each person's website, online public profile (i.e. Yahoo, Blogger, Google), twitter account, or blog. Describe what you learn from each person and why you consider this person an important member of your PLN. Use the tag PLN. This will make it easy for us to point new MyEC members to some friend suggestion lists. Share a link to your PLN post in the comments below. Welcome Kazem, Ahmed, Junai, Hala, Zoh and Huan Bui. You've already introduced yourself to me. Now please introduce yourself to the rest of the Blogging English group. Feel free to ask questions. Sadamu has already posted a welcome on another thread. I hope to hear from more members. Please remember to tell us where you are from - country and city or town. Including a link to your home town would be nice. Use these definitions to help you quickly assess your skills in English. It only works if you are honest with yourself and realistic. Needless to say, you can be intermediate in one skill area and beginner in another, and so on. I'm still waiting for Junai, Xuan Bui, Hala and Zoh to introduce themselves. Although I have bio statements on file from their applications, I don't see the point of posting introductions for them. Besides, I don't need the writing practice. LOL. I'm looking forward to reading more about Junai's experiences in Second Life what she thinks about it as a way to learn and practice English. Perhaps she will post an image of her SL avatar. Use conversation questions to help you find writing topics for practice and journal writing. "How?" you ask. Easy, just answer the question in writing. Questions ask for information. Write it out. You can also use the written answers to prepare your own scripts for speaking practice. Turn some of the questions into journal topics and essay prompts. Pick a question from one of the lists at the link below and write a paragraph about it. A basic writing list posted questions for teachers about exit exams for basic writing classes. I'm adapting them for standardized writing tests such as TOEFL. 1) How long is the writing exam? 2) Do test-takers know what the writing prompts are before the exam? 3) Are past prompts available to test-takers? 4) Are past prompts available online"
5) What are the main problems you encounter? 6) Are you required to use a computer or can you write your exam by hand? 7) Can students bring in any outlines or notes for the exam? 8) Can students bring texts or dictionaries or any other sources? Post answers as comments. I am interested in your opinions about writing exams and what problems you have or expect to have with them. By the way, I'm still waiting for your introductions. If you want to lurk, that is, of course, your decision. However, the only way to learn how to write is by writing. The only way to learn about one another and start learn together is by communicating in writing. Here's an interesting article titled "On the mortality of language learning methods" that discusses how methods for learning foreign languages appear, prosper, disappear, and then reappear. Over the past century many different methods or approaches have been applied to the teaching and learning of foreign languages. Since the 1960s, for example there has been a shift from approaches that concentrate on learning grammar, vocabulary and on translation, to approaches the emphasise communication, especially speaking. The same thing also happened in the second half of the 19th century. Much research has been undertaken into language learning and teaching, but as far as I can discover, no single approach or method has been found to work significantly better than any other, in spite of claims to the contrary by the inventors, founders and promoters of particular methods and approaches. Moreover, each new development in technology, whether it be the phonograph, radio, television, computer or internet, is expected to transform the way people learn languages. However this doesn't necessarily happen. Here's a quick "shout out" and hearty welcome for Blogging English's new members, Junai, Xuan Bui, Hala and Zoh. Junai has been very active posting comments. All have written me private introductions as part of their applications. Now it is time to introduce yourselves to each other and the members of the group blog. Think of your written introduction as writing out what you might say about yourself when meeting new acquaintances or colleagues in person. Take a look at the tag cloud on the right hand side of the page. Click the "introduction" tag to see examples of introductions other blog members have written. For the day now ending. Watch, listen .... sing along.